I’ve got Dr Ashley Westaway on the line with me from Makhanda, which is, of course, the town previously known as Grahamstown. Ashley, thank you so much for joining us on the podcast today. 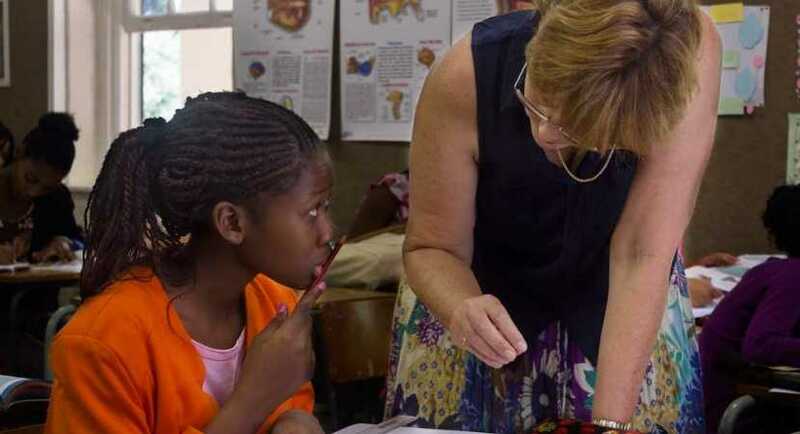 So, you’re behind the GADRA Matric School in Makhanda, which interestingly is a school that helps learners who have already passed matric to improve their matric marks. Can you tell us more about how it works? Sure, it’s what sometimes is referred to therefore as a second chance school. Although we prefer to regard it as a bridging school. Essentially, it’s for students who have already written matric – not all have passed, in fact, some have actually failed and therefore, don’t have a National Senior Certificate but we have an application period. We then assess applications. Demand for a place in the school is very high so normally we have about 500 to 600 applications a year, and then we have a place for approximately 200 students. Each student will have a different set of requirements in terms of which subjects to repeat. So, we base decisions in terms of a number of criteria around, for example, how close is the candidate to a bachelor level pass, which is the highest level of pass, and how close is the candidate to possible admission to a university. We look at incoming university admission points etc. So, there’re a host of criteria that we use and then we package the programme to tailor that particular individual’s needs and essentially we’re trying to get as many students as possible up to bachelor level pass in the first instance, and in the second instance, and this is the more ambitious objective – to get as many students as possible into a good university. In other words, not just having the bachelor pass but having adequate university admission points. That’s very interesting because I believe that your school has become one of the bigger feeders into Rhodes University? That’s right. For the last four years, in fact, we’ve been the university’s biggest feeder school and essentially what that means is that there are more first-year students at Rhodes University from the GADRA Matric School than from any other school – public or private. That’s actually been an achievement that’s really been useful for us because it’s then enabled us to negotiate various other programmes with the university. One of the really interesting options that we give students is what is called a bridging programme where if you apply to the Matric School already having secured a bachelor level pass, but you don’t have adequate university admission points to secure a place as a full-time student, then we’ve got various programmes that we offer in partnership with Rhodes where the student would upgrade up to two school subjects. Then, in addition to that, they’ll register as an occasional student for a first-year university subject. So, we’ve got bridging options now in the faculties of humanities, science, commerce, and education – so there are four different options. A student intending to then go on for a humanities degree would be offered a place as an occasional student in Psychology 1. A student intending to do a bachelor of science would do a course road called Introduction to Scientific Concept and Methods. Students with the intention of doing a Bachelor of Commerce would do a theory of finance and students intending to do a bachelor of education would do Xhosa Mother Tongue 1. So, what’s really nice about that is the agreement that we then have is that if the students successfully obtain that credit and then upgrade their points adequately, they then go into what’s called, the mainstream programme the following year. Instead of doing studies that are extended during the duration of the degree from three to four years directly through Rhodes, they can come and do the first year at GADRA and then go directly into the mainstream programme and complete the degree in three years. We’ve got 35 students on bridging courses at Rhodes this year. The fact that we’ve been able to become the biggest feeder has then enabled us to negotiate these kinds of opportunities with the university. What’s been very favourable for us is that Doctor Sizwe Mabizela is the Vice Chancellor of the university and he’s very progressive in terms of trying to maximise the number of local disadvantaged students who are offered a place at Rhodes. So, it’s a really good time for the city, in terms of educational opportunities. Whereas, it’s a really bad time for the city in relation to things like water supply. How is your school funded, especially as it’s quite a big group that you’ve got there? Yes, it’s a very big group. We teach 14 school subjects. We teach a number of enrichment subjects so we’re not just trying to get the points up and get the bachelor secure but we try and give the students access to skills programmes so that when they get to university they can cope. We teach skills like advanced writing, critical thinking, computer and so, to do all of this work one does need a serious cohort of professional teachers. One obviously needs textbooks, etc. It costs us, at the moment, around R3-3.5m a year to run the school. We cover that cost through various different income generation strategies. Fundraising is a big part of it but we are a fee-paying school as well. So, we cover about a third of the running cost through the collection of fees. That’s quite an important principle for us. It is very difficult for families to pay fees so, we use a sliding scale fee structure where fees are determined not by, for example the number of subjects that you’re doing, but by affordability to pay. So, we fluctuate the fees in relation to family income. Read also: From dire poverty and poor education to matric distinctions –here’s how it’s done! And I presume that all the learners come from within the community? Not all of the learners come from within the community. So, probably about two-thirds of the students are from Grahamstown and this year we’ve got students from Limpopo, we’ve got students from KZN, we’ve got students from the Western Cape. Word has got around that this is the most successful second chance school in the country, and, as a result, parents are prepared to find accommodation for students locally. There is a fairly large grouping of students from out of town. About a third of the students are from outside of Grahamstown. Probably only about 5% from outside the Eastern Cape but a number of them fare from former Ciskei, former Transkei, East London, and PE areas. Every year in SA there’s always a big focus on the matric results. But it seems as if there isn’t a great awareness out there around the second chances that learners have. Do you think that our country is focusing enough on the concept of a second chance because it obviously helps a lot of learners who didn’t make it, let’s say last year, to have a second chance this year and still progress further? Yes, absolutely. We run the Matric School, which is what we’re focusing this interview on but we also run literacy programmes and various other programmes. Essentially, we’re of the view that there are appropriate education interventions that one can imagine right across the age spectrum. Certainly, in terms of our second chance model, there’s plenty of evidence that it works. I think the difficulties with the second chance sector is, first of all, there’s the big government Second Chance programme – the difficulty with that kind of programme is the public sector, as we know, is struggling with dysfunction. Approximately 80% of public schools are dysfunctional in terms of their educational outcomes. So, if you set-up a public second chance model, the likelihood is that that dysfunction is going to carry through into the second chance programme and you’re not going to have very successful outcomes – so, that’s the one problem. The other problem is because there is such a huge need there are a fair number of let’s call them fly by night institutions that then register students and don’t offer adequate tuition. In other words, the supportive environment is not there but I think with those qualifications and reservations noted I think the track record of the Matric School speaks for itself. So, the last four years Rhodes’ biggest feeder school – over 100 bachelor passes every year. A 100% pass rate for the last 3-years so, those are hard numbers and they suggest that if one gets the basics of institutional management correct then one can have very strong outcomes at the second chance level – yes, you are quite right. Dr Westaway, thank you so much for taking the time to chat with me today.